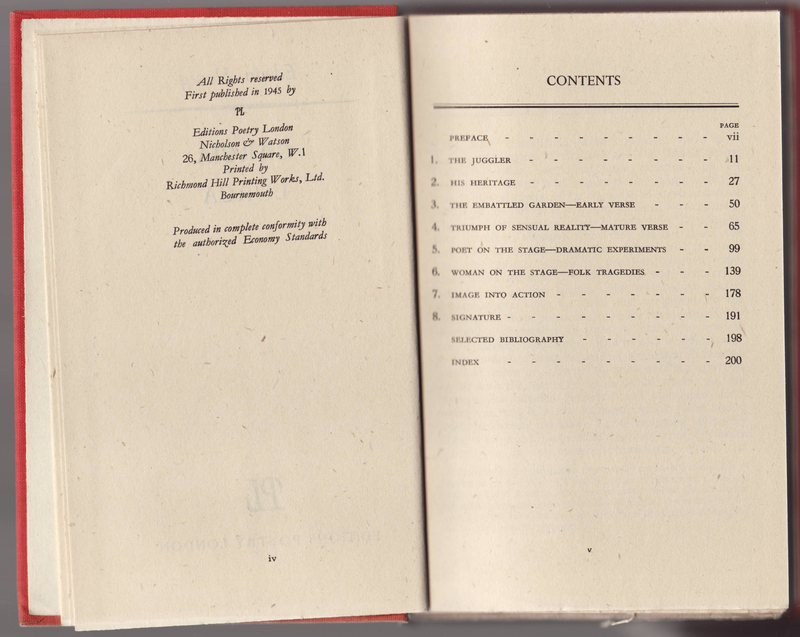 Poetry London was a literary journal founded in 1939. Editions Poetry London was an imprint and a series of sorts, with volumes on poetry, literature, and art issued from 1943 until 1951. 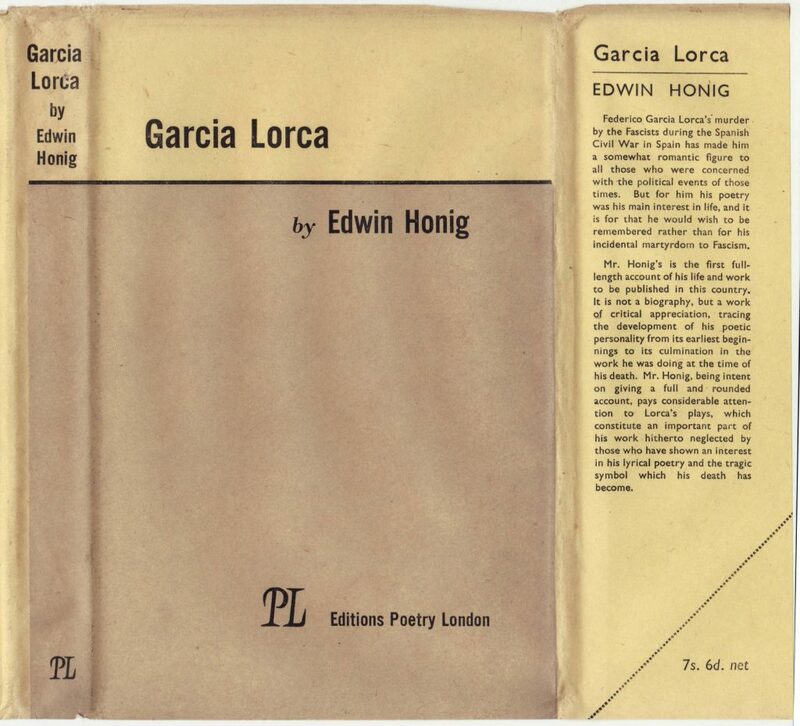 This copy of Edwin Honig’s Garcia Lorca was issued by Editions Poetry London in 1945, a year after New Directions issued the title in their Makers of Modern Literature series in the US. 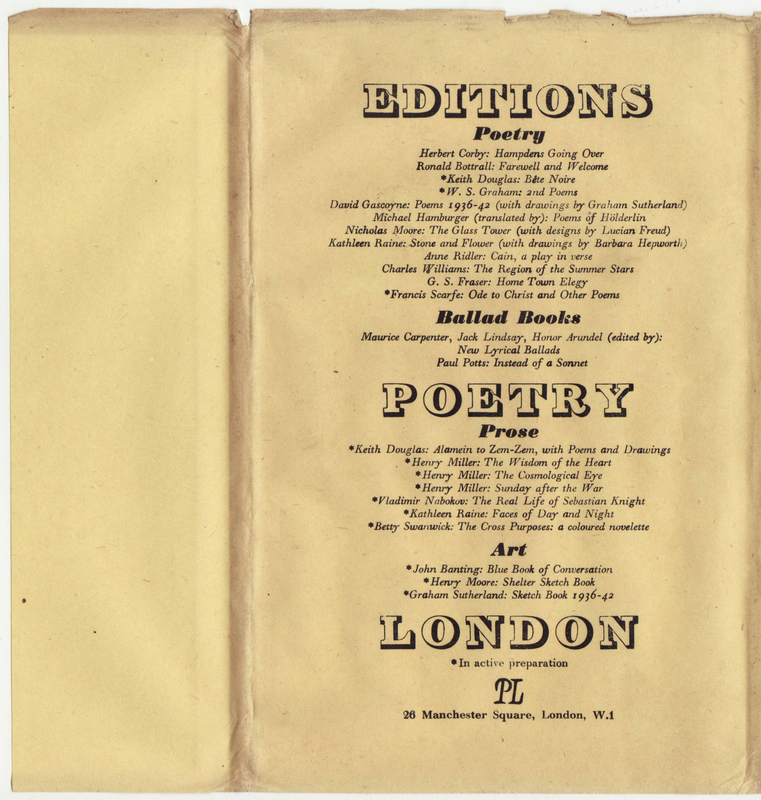 There does not seem to be any consistent co-publishing between Editions Poetry London and New Directions, but the did share a focus on cutting-edge literary work. 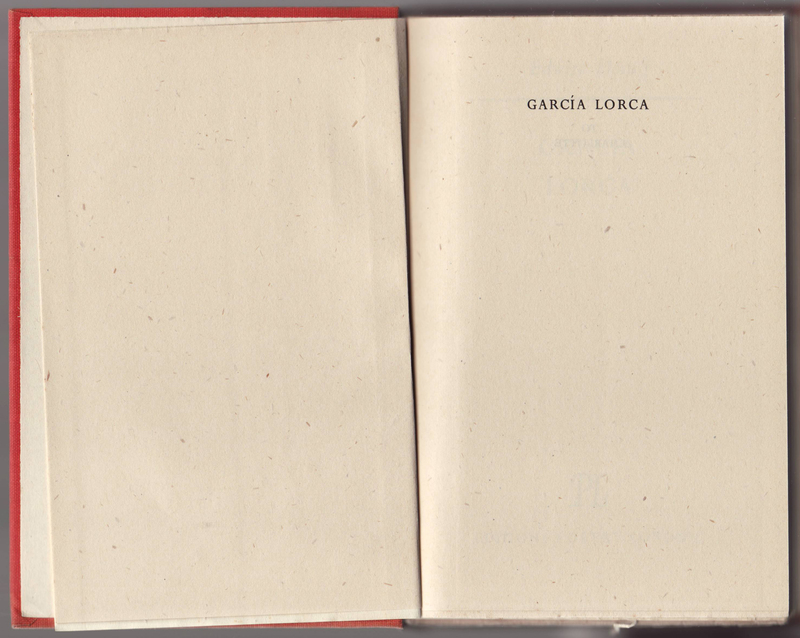 Jackets are in some cases similar in design to each other but also vary quite a bit (again, suggesting this is more of an imprint than a series). 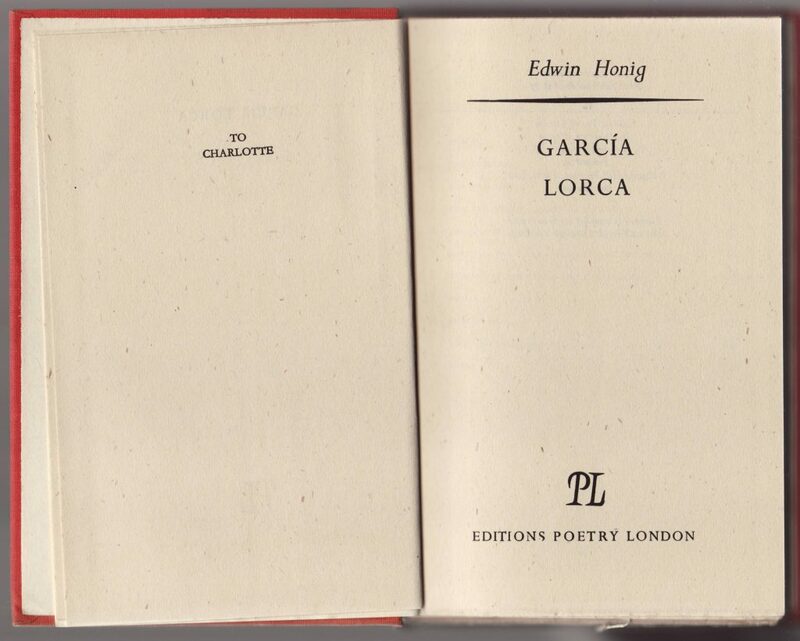 The monochrome jacket below includes the imprint/series name and PL (Poetry London) colophon. The front jacket flap describes the book and the price (7s/6d) is at the bottom of the flap. 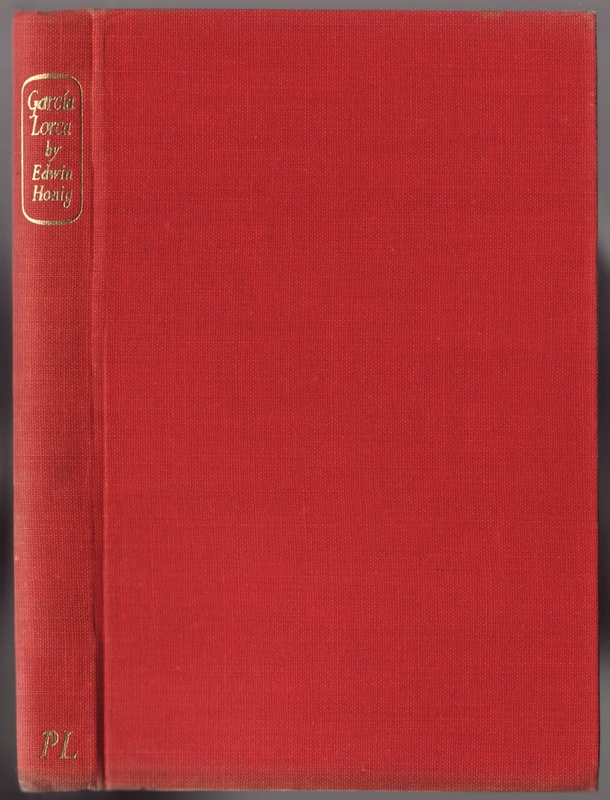 Additional titles in several categories are listed on the rear of the jacket. The copyright page with the 1945 copyright date.